Most Infamously Unreliable Gadgets We Can't Live Without | OhGizmo! By David Ponce on 08/15/17 • Leave a comment! The screen cracks. The signal fails. The battery dies. And woe betides you if you get it wet. The smartphone is arguably the king of unreliable gadgetry. But for all the hassle of carrying something around as delicate as a newborn baby in your pocket, us consumers can’t live without our beloved cell phones. 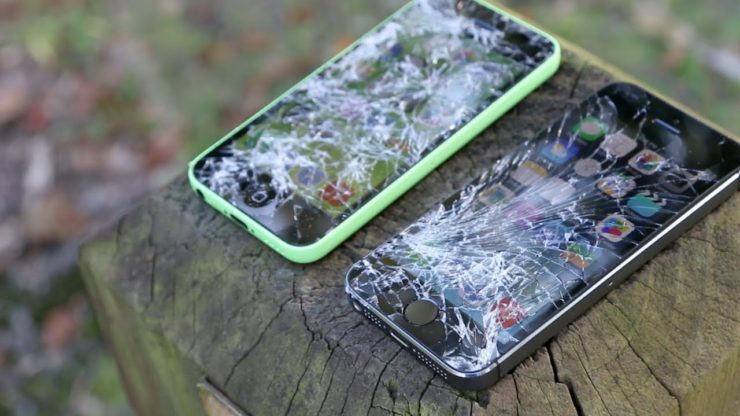 If you can’t bring yourself to step back into the brick-phone age – like the famous Nokia 3310 (which has been revived by the company) – then be sure to invest in some top quality protection. Modern protective cases come with a range of life-proof defense mechanisms against water and brute force, such as the aptly-named ‘Survivor’ by Griffin, will ensure your smartphone stays safely intact from a drop of up to 10 feet. Technically not a ‘gadget’ in the traditional sense, but from its humble military file-sharing beginnings to being widely regarded in modern homes as ‘the fourth utility’ (following water, heating and electricity), we feel the web deserves an honorable mention. We’ve all been met with a page crash, slow running script or ‘404’ in our time, and always at the most inconvenient of moments (such as during an online transaction when you’re not sure if your payment actually went through or not). But when the site is your own, a crashed server can be damaging for an independent business, in terms of lost income and the reputational hit. In terms of keeping your own site up and running, if you’ll look here, you will find that a dedicated server should avoid the peril of platform crashes that occasionally inflict shared hosting sites such as WordPress. Furthermore, to prevent malware and viruses, give your devices a quick online security health check by ensuring you have the latest software updates installed, and be sure to use a reliable VPN when using unsecured Wi-Fi networks or streaming content. When they’re not telling you to head directly into a lake, those bothersome Sat Navs are forever driving us to distraction thanks to confusingly designed pre-loaded maps, signal black holes and outdated software. But for all their unreliability, these little on-the-road gadgets preferable to the pre-GPS days of map books in the backseat or printing out directions before setting off. Update your maps! Although older Sat Nav models may need to be plugged into the computer to update, you can visit the manufacturer’s website and sign up for notifications that will alert you when the latest updates arrive. ← Why Is the iPad POS System Taking Off?